On Sunday, I went to the grocery store. Not earth shattering news by any means but something that I tend to avoid until we’re down to nothing but cheese (we NEVER run out) and assorted condiments that don’t work as meal replacement drinks, no matter how high powered your blender is. The thing is I used to love grocery shopping. As someone who loves eating, cooking, smelling, dreaming about and thinking about food, the grocery store should be like heaven to me. Granted, I think heaven is probably not going to have toddlers in full blown no nap meltdowns or people who park their cart in the middle of the aisle while they inspect the ingredients on no less than 6 Uncle Ben’s rice packs, but you get the idea. So why is it that I have gone from loving the grocery store to hating it? Labels. Claims and stupid marketing gimmicks. Take a walk with me through the grocery store and see what I see. 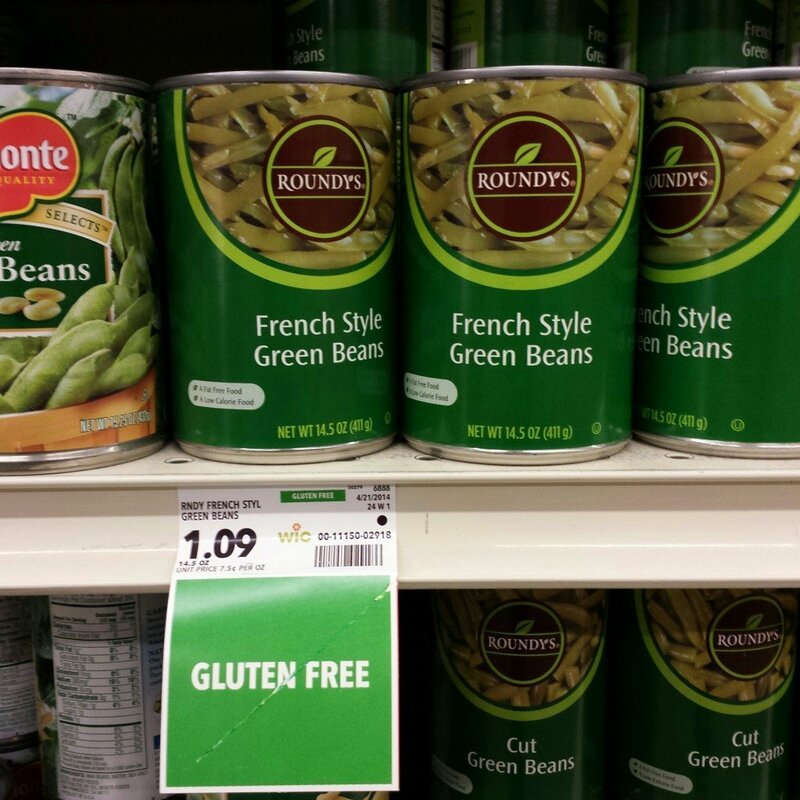 Gluten free green beans everybody! Woot! Gluten free butter! Wait… what!?!?! Land O’ Lakes butter is tasty enough, no need for the grocery store to stick a silly label on it. Going gluten free seems to be the newest health craze. I have good friends that battle IBS and Celiacs disease and I understand fully that making diet modifications can increase quality of life for many people. At the same time I also see people online claiming that GMO wheat has made them gluten intolerant and I want to scream “THERE IS NO GENETICALLY MODIFIED WHEAT GROWN COMMERCIALLY. TRY AGAIN!” Those are the people who make the people who truly do need to avoid gluten look like raving lunatics. They are also the people who don’t understand that gluten, a component of wheat, barley or rye is not found in butter or green beans. I guess this means that no bugs were harmed in the making of these beans? At first I just laughed at the silliness of it but then I realized that maybe they added this tag because people thought that wax beans contained actual wax, like from bees? And then my head exploded. It’s hard to type after your head explodes. 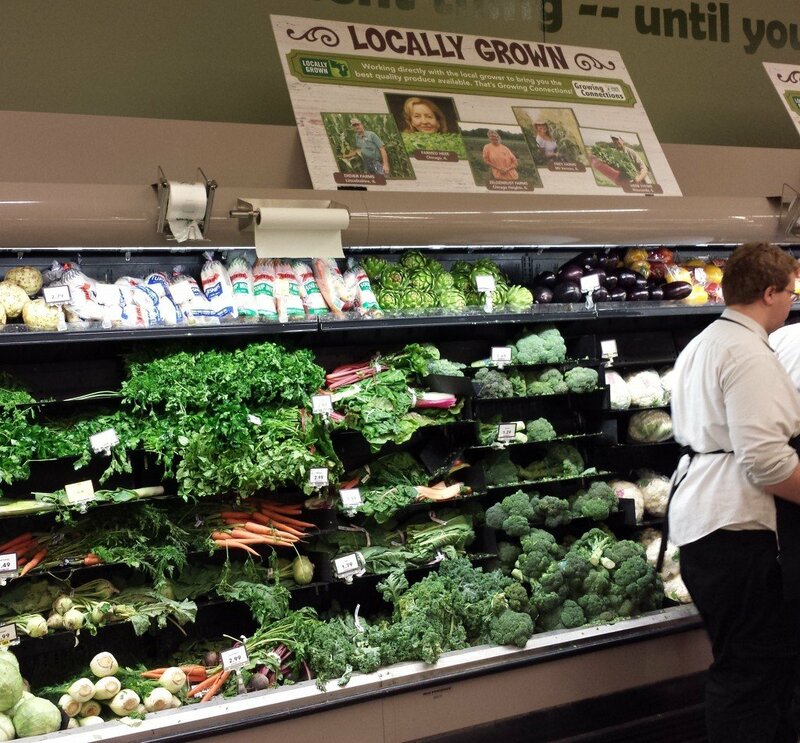 I love local farmers and local food! Why would this sign make the cut? Located directly under the “Local Food” sign. I love our local farmers markets. I love people eating locally. I love my neighbors who grow produce and sell it locally. 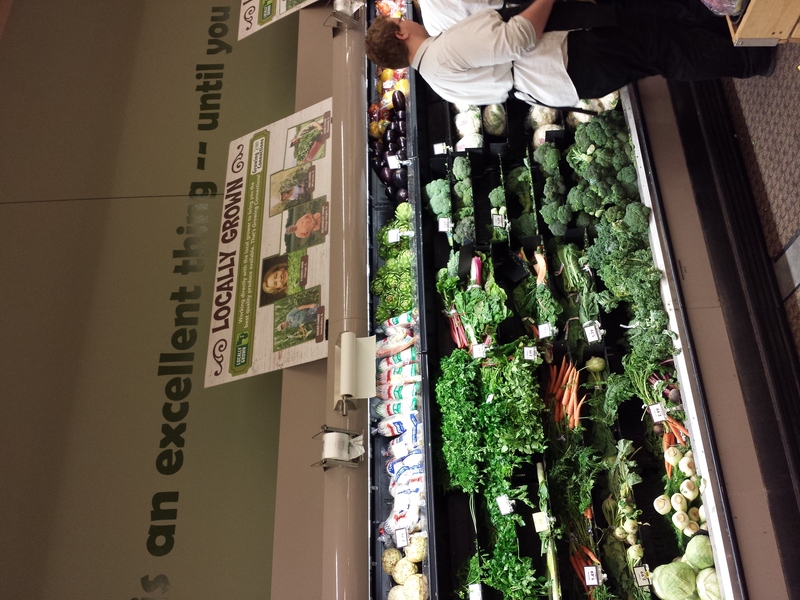 What I don’t love is a huge sign above produce that infers that the produce under the sign was grown locally. How do I know it’s not local produce? Well here’s the thing about the upper midwest in winter/spring, it’s freaking cold! Sure, you can grow hoop house spinach and some greens but your local grocery certainly isn’t stocking their shelves with carrots, celery and green peppers from Wisconsin in April. Now before you go to the comments and write a passionate and angry argument about how there are hidden ingredients in food these days and that these signs help people quickly pick out foods that aren’t going to cause them issues of the intestinal or moral variety, hold please… All of these products include a list of ingredients on the side. If a company was to leave out an ingredient it would cause a massive recall of the product. Oscar Meyer can tell you all about that. Before I wrote this I stopped to consider that maybe I had overlooked something. I considered that maybe some butter did in fact have added gluten and that caused the fancy labels. However, after a google search all I found was sites that either said butter was gluten free or sites that said that butter was possibly gluten free and tried to sell you something, not exactly reliable. I found nothing claiming that wax beans were made with beeswax, and I am thankful for that. So to answer the question I posed above, are grocery stores making people dumb?Well, they sure are encouraging people to stop using their brains, and I don’t believe that helps our society become smarter. What do you think? « How do you know when to let go? 34 Comments on Are grocery stores making people dumb? how can you make people any dumber than they already are? My thoughts exactly regarding the food market. Marketing just looks for whatever the healthy buzz word at the time is and sticks it onto whatever food qualifies. Case in point – Fat free sugar babies! Sure, they’re fat free when you consume them, but they also have a ton of sugar that if you’re not burning immediately after will turn to fat… If you can distract people from what they’re really eating and give them some false sense of “health” or “goodness” they will buy it. I think the general public has become complacent and lazy. It seems they believe everything the media reports. Media seems to hype GMO and organic but only tells half the story. People need to understand that the typical American farmer is working long, hard hours without vacations, days off etc to put the best produce, meat and milk on the table. 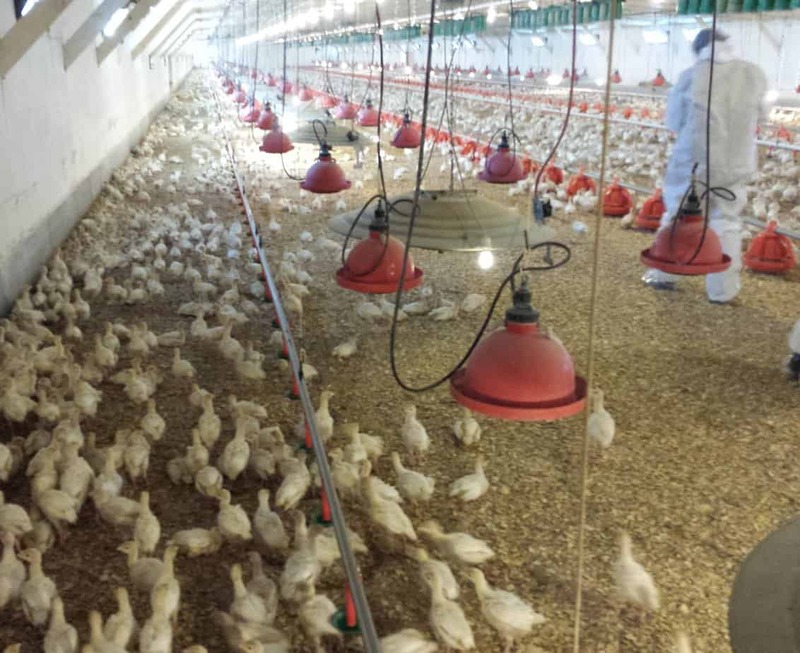 The costs of production many times exceed the value the farmer receives for his/her product. There is just so much to production agriculture consumers do not know about. Those labels don’t always tell the truth either. Great post! I personally think that all the GMO labeling supporters need the controversy to stay alive. Marketing fear is a great way to drive consumers to their products. 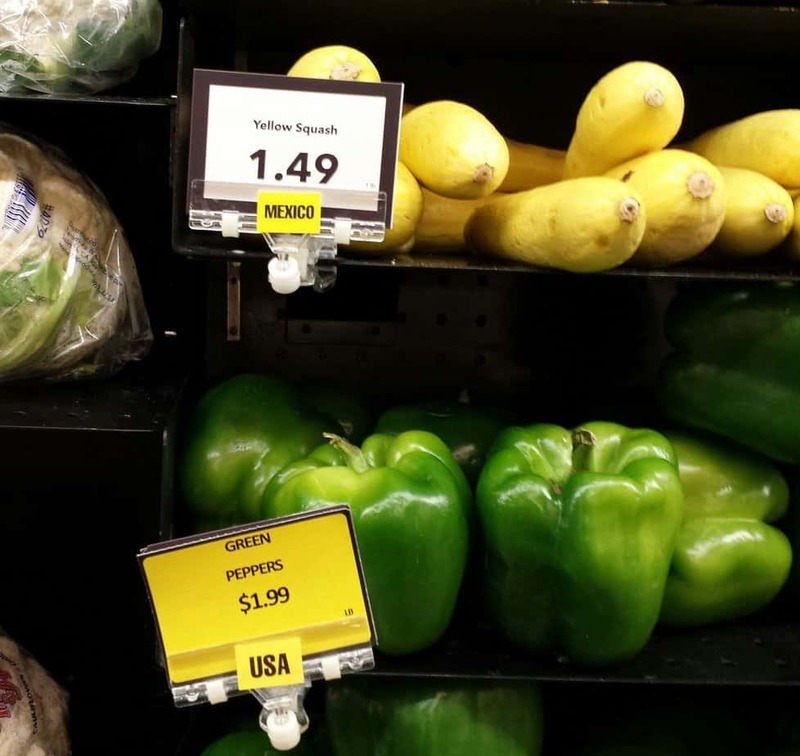 However, since it’s estimated that 70% – 85% of the packaged foods in a supermarket contain genetically engineered ingredients, consumers will have to add more time to dig through and find non-labeled items and spend more money during their grocery store experience. 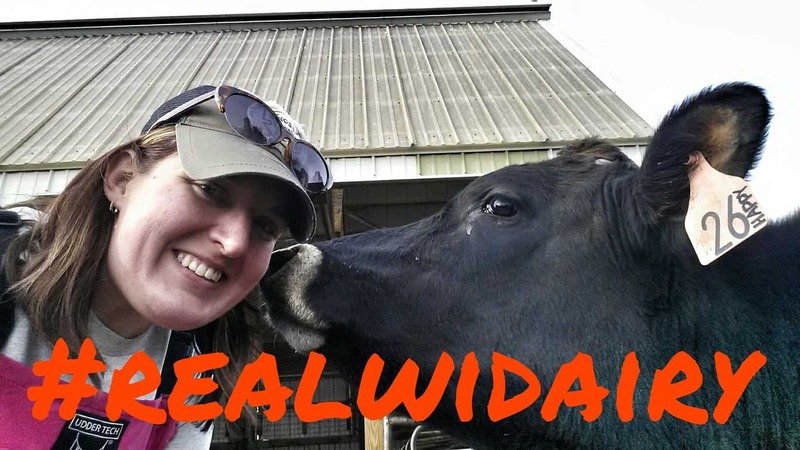 I’m a dairy farm worker, and can’t get my head around when people say they want grass-fed milk but can’t get it in BC Canada because the Marketing Board won’t allow their milk to be labeled “grass-fed” for certain products. I explained to them on several occasions that dairy cows eat mostly grass or hay. 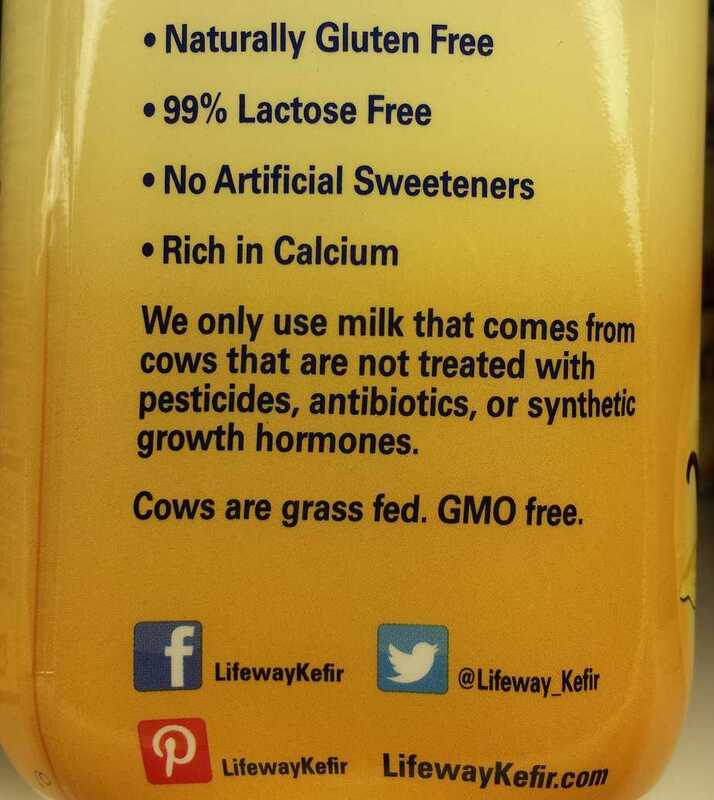 That is literally “grass-fed” in my opinion. Grain? 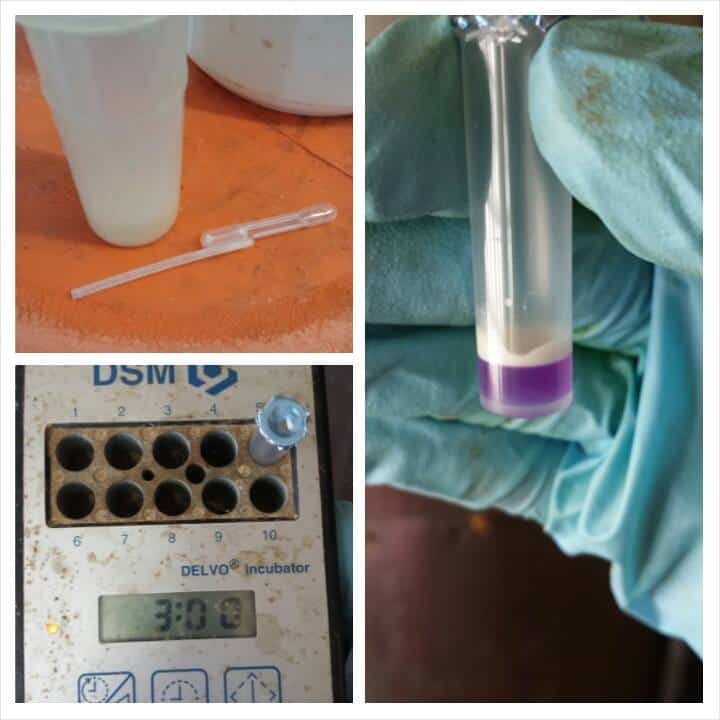 Yes, the amount varies, but the fact is that cows are mostly healthy and that’s why they can give lots of milk. And they love their fresh and dry grass as well as grain! I’m tired of media hype and marketing gimmicks that drive people away from the reality of farms and food production. As far as the question of whether the store’s marketing strategy is making people dumb, maybe yes. But I also think the grocery joints are responding to the intellectual level of their patrons=customers. Maybe the store people are tired of answering to dumb questions. I would think that people who are serious about gluten free diets already know what and what not to buy when they go into the stores. I know a few people who don’t do good research on health and food (or anything else) and are easily influenced by trend/buzz/hype. These people were big on “low carb” years ago, and now they are on “gluten free”. They are probably the ones who would ask a clerk if a canned bean is gluten free. I’m just hoping this gluten free craze will be over soon. What kind of food hype is brewing behind the scene, I don’t know. I know I don’t look forward to it. My favorite thing I see at farmers markets… Organic honey? I feel bad that my thorough examination of each and every flavor of Uncle Ben’s rice caused someone to feel irritated. If I forgot the cart in the middle of the aisle, it’s only because I would LOVE to have some Uncle Ben’s flavored rice and the thought hit me that MAYBE there was one flavor that doesn’t contain whey or MSG. On another note I was kind of pleased to see the Vegan label because that implies the was beans haven’t got any whey thrown into the liquid. You wouldn’t believe how many products have whey thrown in! At what point does it not become a personal responsibility to look at the ingredient list to see if a product fits your specific dietary requirements? My personal pet peeve is the allergy warning label right next to the ingredient list. They tell you all over again about what is in your food. My mom bought a can of boiled peanuts and it said “warning! product may contain peanuts!”. Well, let’s hope that’s what they put in there. The other peeve is people at produce stands who want GMO free corn. There is NO sweet corn that has not been genetically modified in some way. Hate to break it to you but there is roundup ready sweet corn and a few bt sweet corn varieties as well. Important detail- The comment says that all sweet corn is modified, not that none of it is. Kyle, I have literally lived my entire life raising sweet corn. I do know a thing or two about the subject. I have to agree! Maybe not so much about the people with carts in the middle of the isle (though it can be frustrating). More so the fact that people have become not only lazy and complacent as another commenter mentioned, but also rude. I worked for 5 years in a farm stand, on the farm in the very packing shed where the fruit was packed, surrounded by the very orchards that grew that produce. Watching citizens pick out the fruit and veggies they want to take home and answering, in many cases the same question 45 times a day. But amazingly I loved every minute of it…kind of miss it. Little old ladies…sweet little grandmas “trading” with other peoples wagons because those peaches looked prettier. I’m never one to say someone is dumb for asking a question, however sometimes I wonder if all these labels and availability in the middle of winter of every veggie known to mankind has made them forget their common sense part of their brains. One of those questions I was asked once was “does weather affect the fruit?” Now this was a very nice man, and he was genuinely concerned with this question. But I had to ask him to ask that question again, mainly because I didn’t think that people didn’t know that all produce and even your meat, milk and eggs is affected by weather conditions (people for that matter are). 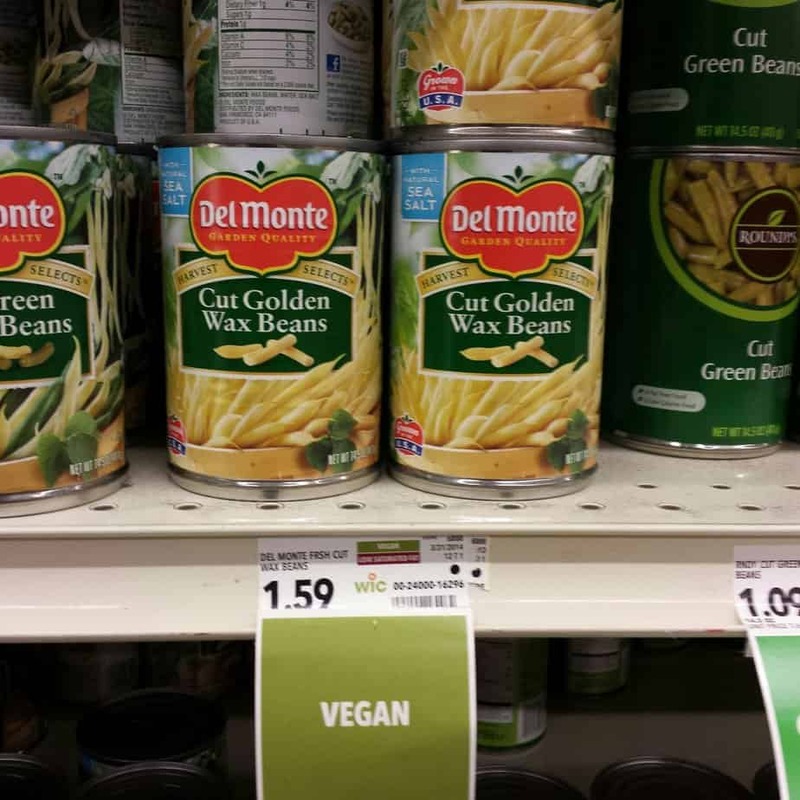 I think that these labels have made people think they need clarification, yes wax beans are vegan, no they didn’t add beeswax or any other wax to them. I just wish that people could be encouraged to use that common sense brain…it’s handy! 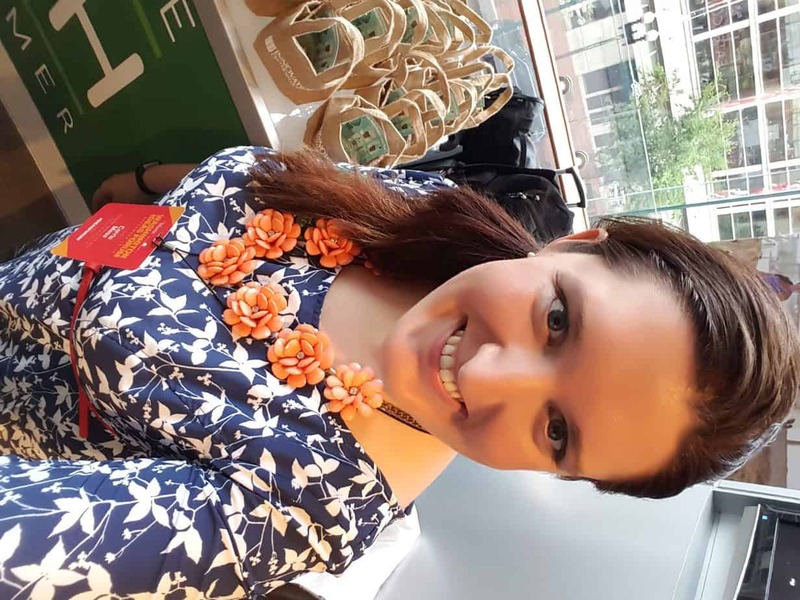 Dairycarrie – THANK YOU, for taking time to be articulate and for helping put things into perspective in a smart and funny way! Genetic modification for the sake of fighting off fungi, bugs or rot are the products that you should want. To say that you won’t eat it because some “scientist” somewhere told you not to is ignorance and gullibility. Grow a pair and eat clean, real food. I still unpackage every cut of meat to wash it in chlorine water before drying and using… just to take out the unwanted crap that is around when meat gets slaughtered. It tastes better and makes me feel safer… but not something I am going to jam down the throats of the populace. My biggest pet peeve… Here in North Iowa I always see, about this time of year, sweet corn out. The sign will say, fresh, local grown sweet corn. Really? We won’t have sweet corn here for a few months, there are not many crops planted yet. I think you’re over reacting about the gluten free labels. 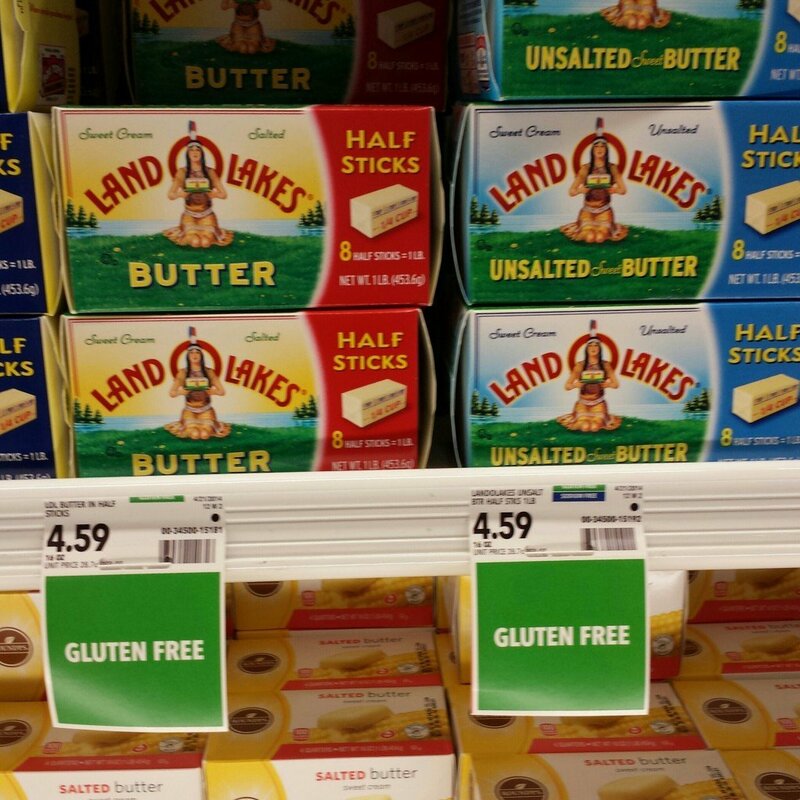 These labels make it easier for shoppers that do have Celiacs to easily find the items that are gluten free. I suppose having a gluten free isle is completely ludicrous as well. I do agree that having it on butter is pretty insane. But, having it on other items, such as Cream of Mushroom soup, is great because that will typically contain flour. Granted, we still checked the label to ensure that it didn’t contain any ingredients that may contain gluten. I still feel that those signs are helpful as the gluten free symbol/text is not always easy to spot. I have no complaints with labels on products made with several ingredients. However what I have posted photos of is over the top and ridiculous. Thank-you Carrie, I’m the farmer that will stand at the dairy case and watch how people purchase their dairy products. Example: I watch people buy LOL “BST free” milk at a higher price and right next to that is Walmarts brand, look folks they are bottled in the the same plant. It’s the same milk. End of rant. For me, the “fuss” about GMO food crops has more to do with the potential threat to food sovereignty than with any assumed dietary risks. Farmers must have the RIGHT to save their own seed from year to year without the threat of lawsuits from entities like the big M.
For those of us who have Celiac & gluten intolerance, it is helpful to label gluten free. It is especially helpful for those just New to gluten free eating. There is gluten in things that you would never think would have it in. They use it alot as a preservative in prepackaged food. I have even seen it in canned food. It is easier for us when the labeling is there because there is nothing easy about a gluten free diet. Look up “Gluten Free Water”. It’s an actual thing. Humans are desparate to make a money these days.